Team news as Wasps host Worcester in Saturday's Premiership fixture at the Ricoh Arena (15:00 BST). 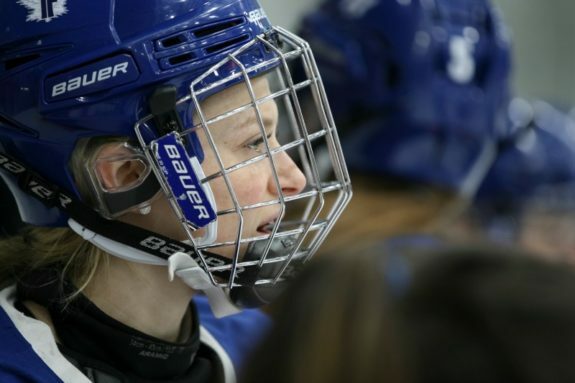 CWHL Folds: What’s Next for Women’s Hockey? Where I've been and where I am going. Yes, a New Job! Worcester Warriors completed the double with a nail-biting 27-25 win over Bristol Bears to boost their hopes of avoiding relegation from the Gallagher Premiership. Warriors won 52-7 at Sixways back in October but they had to work much harder for this success and by overcoming a number of setbacks and two yellow cards to pick up a crucial win. Ted Hill, Josh Adams and Ben Te&apos;o scored their tries with Duncan Weir converting all three and adding two penalties. Harlequins agree to sign Worcester's Simon Kerrod, Exeter's Tom Lawday and Cornish Pirates' Toby Freeman at the end of the season. Harlequins agree deals to sign Worcester's Simon Kerrod and Exeter's Tom Lawday at the end of the season. Wales wing Josh Adams will join Cardiff Blues from Worcester next season, the Welsh region announces. Worcester's Cornell Du Preez returns ahead of schedule from the "horrific" throat injury he suffered on his debut in September. The boy suffered burns to his face and arms in the "monstrous" attack in a Worcester shop. The boy suffered burns to his face and arms in the attack in Home Bargains store in Worcester. Tries from Zach Kibirige and Toby Flood help Newcastle beat Worcester to close the gap on their relegation rivals to five points. Cardiff Blues are closing in on signing Wales wing Josh Adams from Worcester next season. Worcester reveal Bryce Heem's summer exit as they make Samoa international Ed Fidow their fifth signing for 2019-20. Worcester's former Jersey lock forward Pierce Phillips is to join French Top 14 club Agen this summer. Police renew appeal for Tesco Warndon theft Malvern Gazette POLICE have renewed an appeal for information after a theft from a Worcester supermarket last week.